This case was designed for the University Of Georgia. 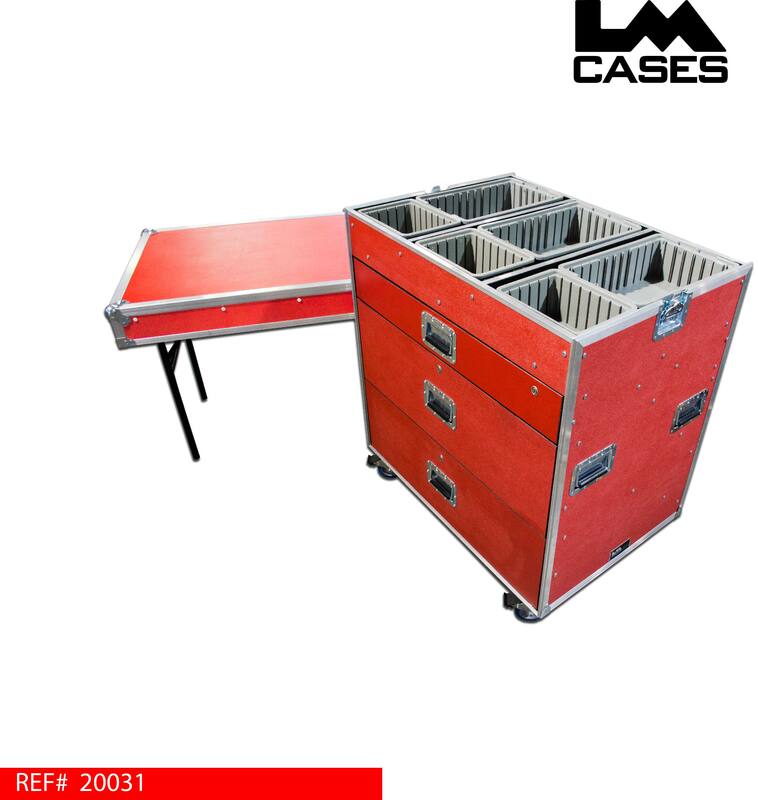 The case is designed to be a in facility vending cart to despense fresh food and beverages to athletes. 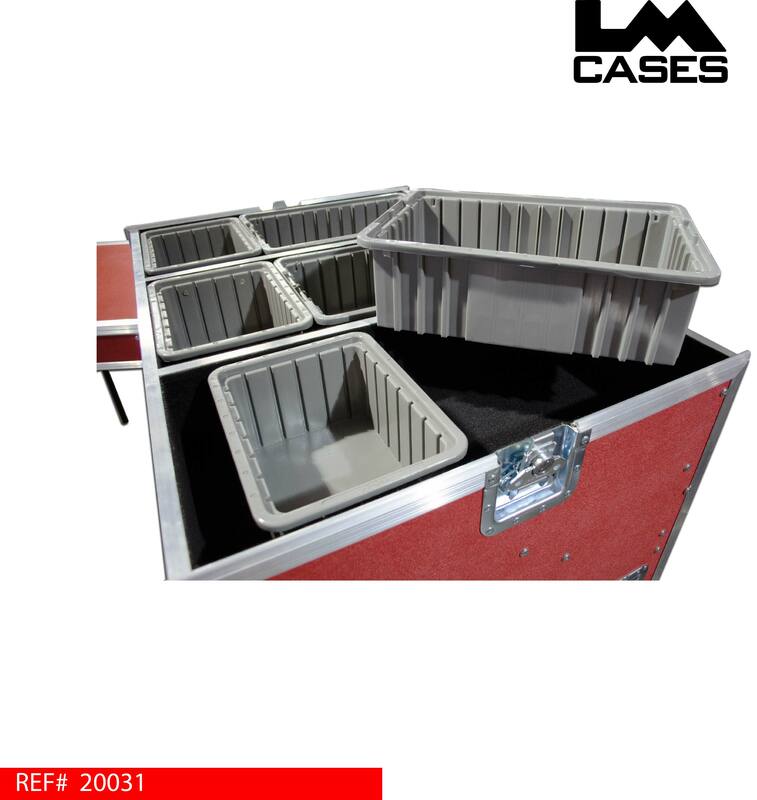 The case is built out of 3/8" plywood and features removable plastic bins that hold fresh fruit and beverages on ice. Below the top despensing area are custom drawers that are lockable and hold additional food to be sold as well as support supplies. The top lid features table legs to add additional funcitonality and work area to the case while it is in use. Although the case will not be packed in a truck like typical ATA cases, it is built to the same extreme duty specifications that will ensure that the case will last the daily abuses the university can subject it to. Special thanks to the University Of Georgia!